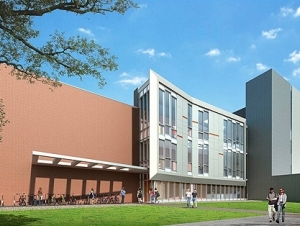 M&T Bank has established a $250,000 endowed fund for SUNY Buffalo State’s new Science and Mathematics Complex. The gift, distributed in $50,000 increments over five years, will go toward the repair and replacement of science equipment for the new building. The $100 million complex—a 224,000-square-foot, three-story facility—will house the Biology, Chemistry, Earth Sciences and Science Education, Mathematics, and Physics departments and the Great Lakes Center. The first phase opened at the beginning of the spring semester. The second phase, scheduled for completion in 2015, will include a complete renovation of the existing Science Building's north wing. Phase three of the project will create a new state-of-the-art planetarium, greenhouse, labs, classrooms, and lecture halls. Severson said he hopes the new complex will raise Buffalo State’s profile for the natural sciences and attract more students interested in pursuing careers in medicine and biotechnology. The Science and Mathematics Complex gift is just one of numerous examples of M&T Bank’s generosity toward Buffalo State. M&T sponsors the Burchfield Penney Art Center’s “Second Friday” events, the Performing Arts Center at Rockwell Hall’s “Great Performers Series,” and guest speakers at Buffalo State. 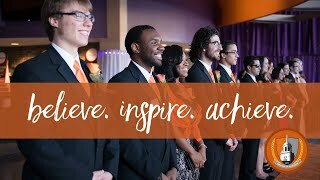 M&T is sponsoring a lecture from Olympic speed skater and gold medalist Apolo Ohno at Buffalo State in April. Ticket information will be announced at a later date.